Still waiting for the new arrival… but delighted to share this guest post by Hannah Guthrie, a London mum, fellow museum fanatic and blogger over at Everybody in the house of love. 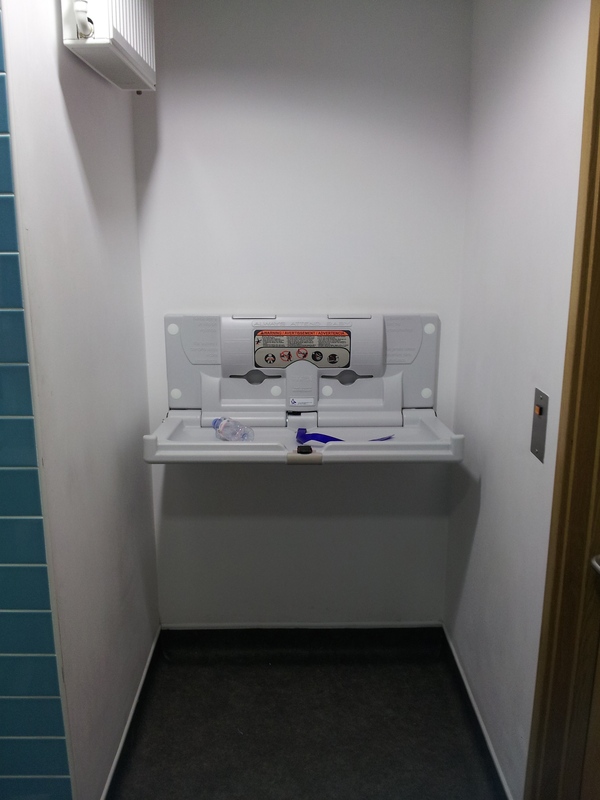 No bum notes in this post, looking at a subject likely to strike fear into even the most experienced parent – baby changing facilities! I love museums and galleries. There are wonderful opportunities for learning about other cultures, histories to be discovered, beautiful artworks to contemplate and amazing architecture to experience. 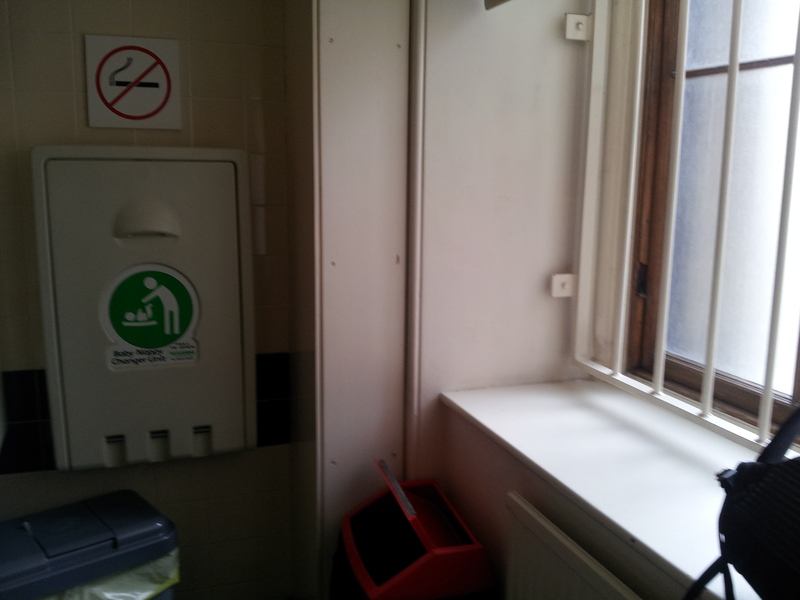 But best of all, there is coffee, cake and reasonably clean, free toilets. I live in London, where station toilets cost you more than a penny and most public toilets have been turned into trendy cafes. 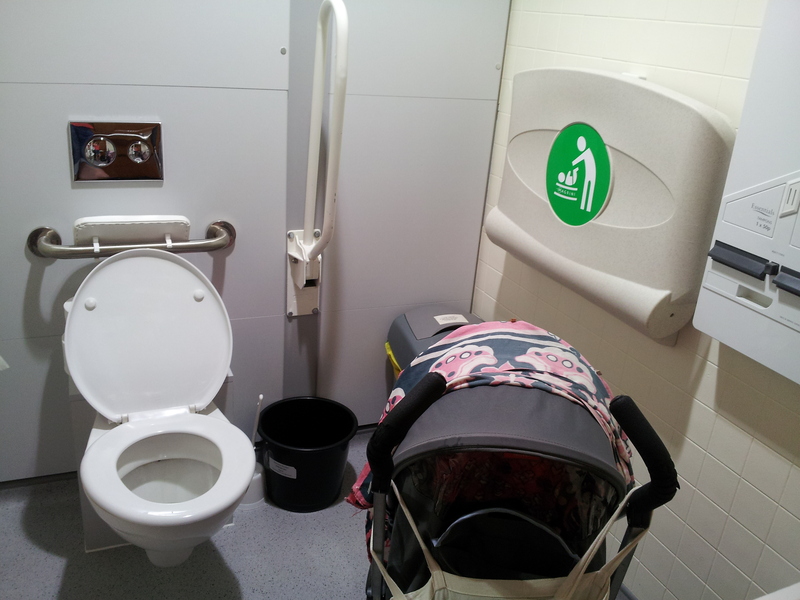 When I got pregnant, finding a half decent loo pretty quickly became a high priority for me. Now I’ve got a 5 month old and only the vestiges of a pelvic floor, the need has only got greater, and my requirements more complicated. I’m at a wonderfully selfish period of museum mumdom; Dot’s still young enough to be entertained by staring at other museum visitors, so all I really need to think about are where I can change her nappy and where can I get that coffee and cake. 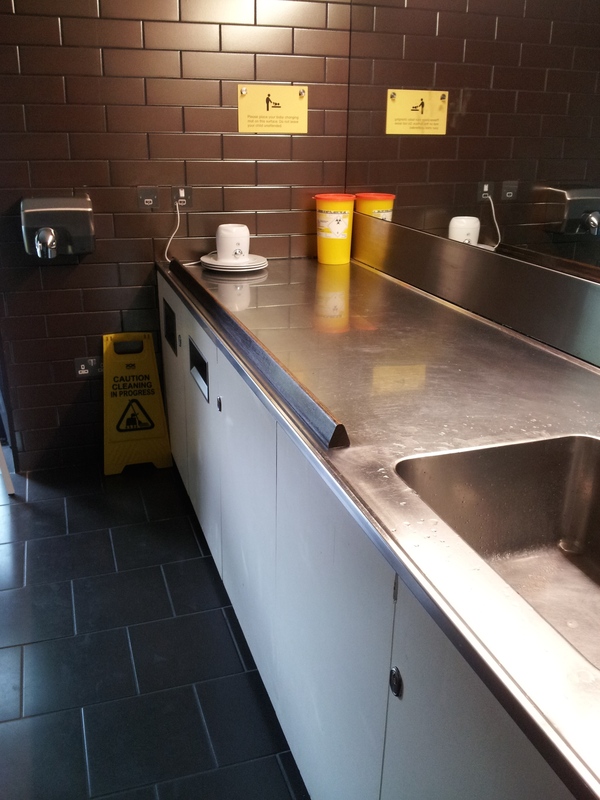 To be honest, most museum coffee shops are too pricey for my pockets, so let’s talk toilets. 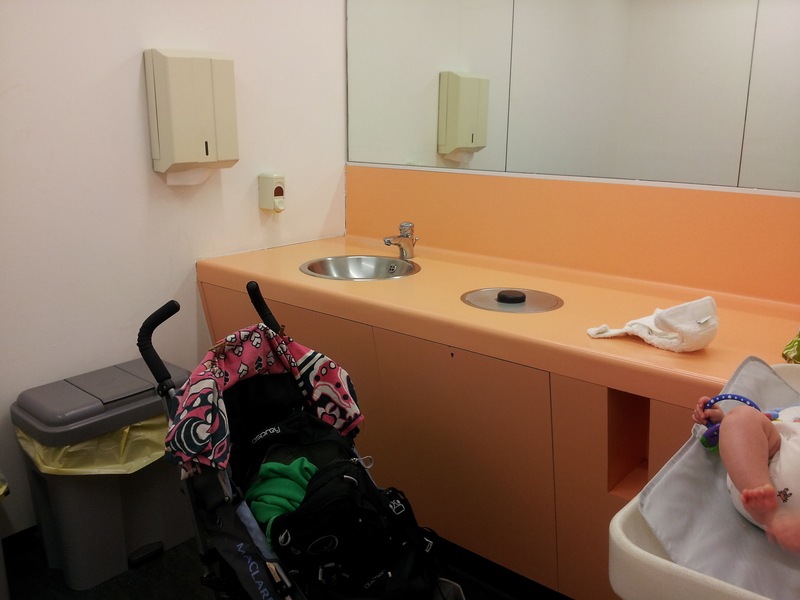 At first, I thought I’d use the opportunity of this guest post to have a good old moan about how rubbish baby changing facilities are in some museums. And, honestly, I do hate changing my little girl in most of the facilities we find, but I’m not sure that that’s their fault. I’ve realised that me and the Dotster have quite specific requirements that probably aren’t the same as anyone elses. 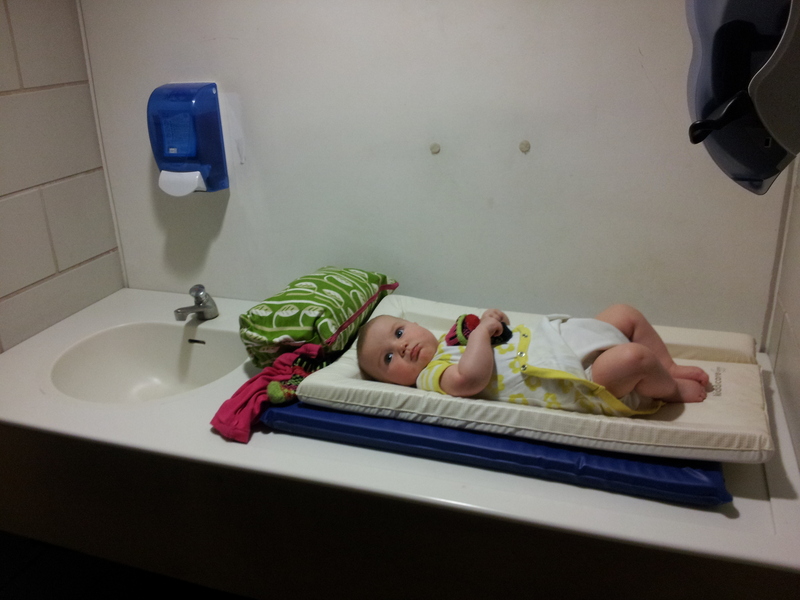 It’s even more of a problem since she’s developed a phobia of changing tables (and just when doing the research for this post – good timing Dot!). 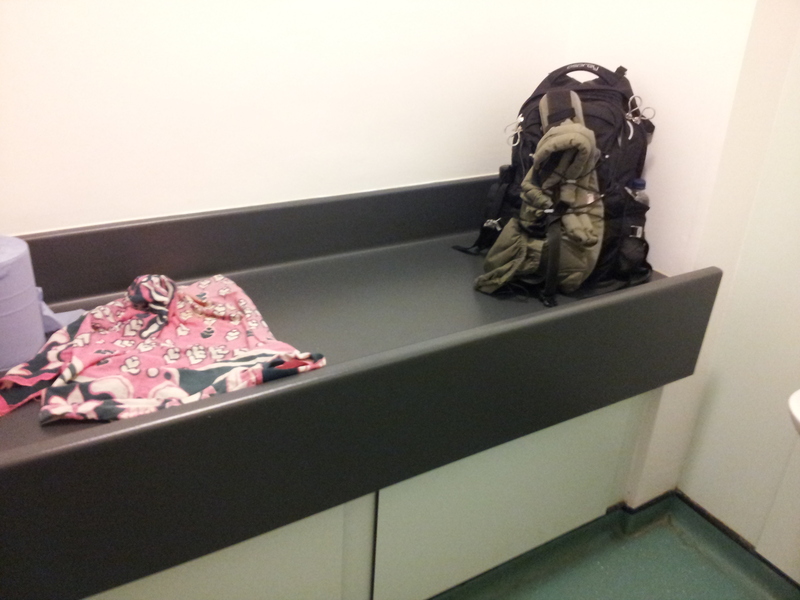 So I thought that I’d take it as an opportunity to celebrate all manner of baby changing facilities and list my top 10 things that make a good one. But this is my list; please leave a comment below to say what makes the perfect facilities for you and your brood. When we’re hitting the museums, I normally wear Dot in a carrier of some sort. We sometimes use the buggy but it’s often Dot strapped to my front and a rucksack on my back. And then there’s coats, umbrellas, muslins and sun hats stuffed into my hands and pockets. This means I need hooks and more hooks and surfaces, which I’ll come to later. 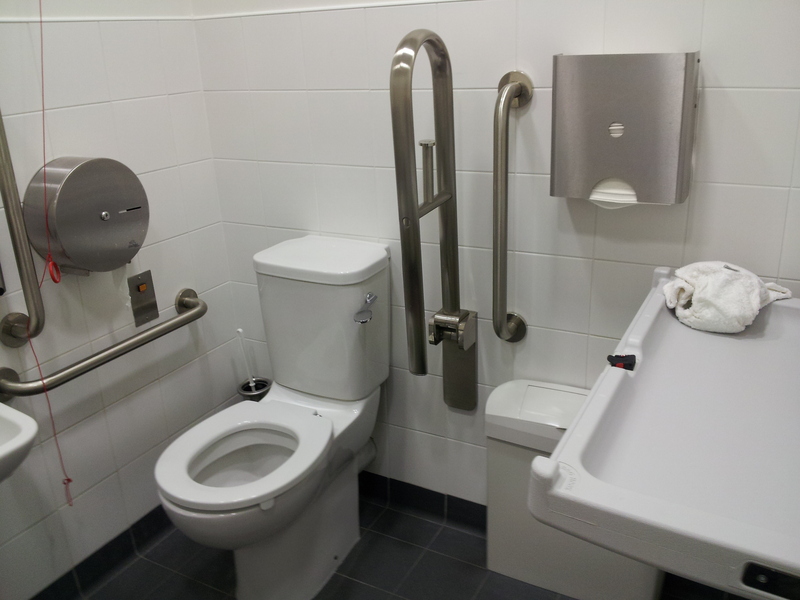 surfaces and hooks are missing from just too many toilets and changing rooms. Where am I meant to put all my stuff!? space is especially important if I’ve got a buggy with me. Please please, can there be room for it, me, my girl and enough space to close the door too so I can at least muffle her changing table phobia screams? things in sensible places because when I’m trying to keep one hand on her feet so she doesn’t smear herself in excrement, it would be really helpful if the bin was by the changing table rather than on the other side of the room, why is it always on the other side of the room? Nice surfaces at Tate Modern but why is the bin so far away? And why didn’t I just think to move it closer? Finally, the best thing is front of house staff who are happy for me to just get on with it wherever and whenever the need takes us. Because actually, it isn’t that mucky most of the time, and I do bring my own wipes. 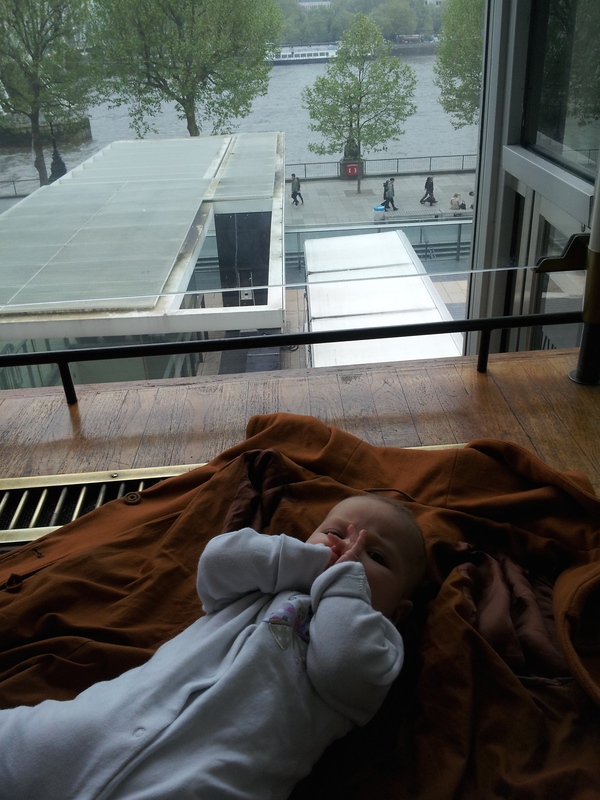 Dot about to have her nappy changed on the floor at The Southbank Centre; so much easier when I don’t have to gather everything up and schlep to a loo.